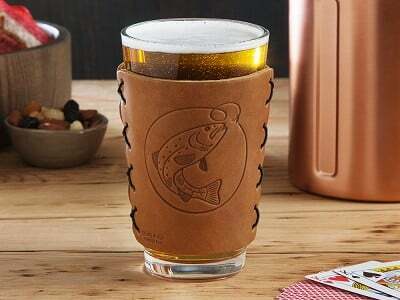 Gabriel Hargett made his first custom leather koozie for a pint glass back in 2009. He was inspired to create something to help elevate the time-honored tradition of enjoying a drink at the end of the day. 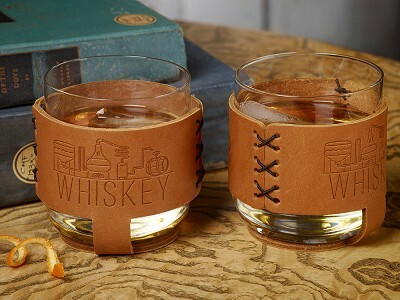 Gabriel has since created sleeves for beer cans and whiskey glasses, too—all in the name of making a drink a little more special. 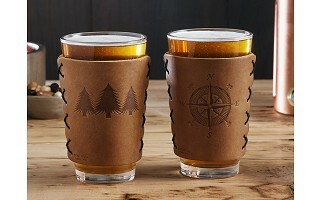 His Made in the USA recycled leather goods provide more than just an insulating (and great looking) sleeve for drinks. A partnership with the Autism Society of North Carolina provides work for folks in need of employment opportunities. These team members hand sew each sleeve, help with packaging, and make up over half of the workforce at Oowee. 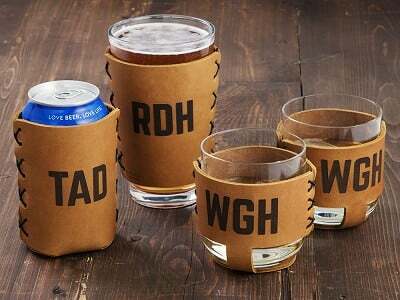 A koozie can be branded with one of Oowee’s original designs or it can be personalized with your initials, which makes for an extra meaningful gift. And all the sleeves are guaranteed to last a lifetime. What are the sleeves made of? The sleeves are made of 100% natural cowhide leather. 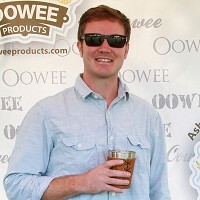 Oowee uses scrap leather materials that would otherwise become waste products. The result? 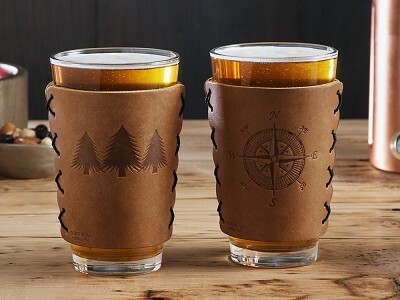 Premium leather beverage sleeves, sustainably produced. Are the images on both sides? Will the design wear off? No. The design is branded into the leather.